Cowichan On Tap Beer Festival – It's Canadian, eh. REMEMBER TO BRING CASH TO TODAYS EVENT FOR EXTRA TOKENS AND THE FOOD TRUCKS…SEE YOU SOON!! (VIP’s get in at noon) – SOLD OUT!!! This event is now SOLD OUT – Thank you for supporting KidSport Cowichan so ALL kids can play!! See you on Sunday and please remember to organize a safe ride home!!! Duncan, B.C. – calling all lovers of beer! The 1st Annual Cowichan On Tap Beer Festival will be held on Sunday, July 2nd in the City Square in Downtown Duncan. Cowichan On Tap Beer Festival will combine the best local, Vancouver Island and British Columbia’s microbreweries, delicious bites from food trucks (food not included in price of ticket), live music from Tropic Mayhem and One Hit Away and an opportunity to win some excellent prizes. Come and join a fun filled atmosphere and great beer. Funds raised at this event will go towards supporting KidSport Cowichan which provides grants for children to participate in a season of sport. VIP Tickets: SOLD OUT!!!! 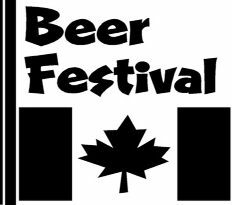 are $35.00 and this includes early admission at noon, exclusive access to early bird beers, a 5 ounce souvenir mug for sampling and 7 beer tokens. There are only 200 VIP admissions available so buy your VIP ticket soon. Regular Admission: SOLD OUT!!!! is $25.00 and this includes 1:00pm admission, a 5 ounce souvenir mug for sampling and 5 beer tokens. Additional beer tokens can be purchased at the event for $2.00 each. SOLD OUT!! – Beverly Corners Liquor Store – SOLD OUT!! SOLD OUT!! – Liquor and More at Cowichan Commons – SOLD OUT!! Hummingbird Hill, Taco Revolution and Jakes on the Road! Shuttle Bus companies have been notified and may be available for a fee. Cowichan Valley Regional Transit System. Are there ID or minimum age requirements to the event? This is a 19+ event only, no children allowed. Please make sure to bring a valid 19+ ID for admittance. Service animals will be permitted, but due to safety concerns all other pets will not be allowed. Backpacks, bags, packages, gym bags etc. brought into the venue will be subject to search by security personnel upon entry. We strongly suggest that you only bring what you need, keeping the number of bags to a minimum. No food or beverages allowed into the event. If food or beverages happen to be discovered, you will need to dispose of it prior to entering. Please print off you ticket and bring it to the event with valid government – issued Photo ID. Check back to get details on the Cowichan On Tap Beer Festival-- Canada long weekend! Canada Day Weekend. Local Beers. Good Times.